I've just about recovered from a bout of fever, and while the fever seems to have left me, what I seem to be stuck with are the blues. So while I was researching my assigned blog this month, Love and Flour, I came across LeAndra's post on Blueberry Muffins. Oh they looked good! Imaging my surprise when I read her post and realized that she whipped these up on a day when like me, she was a little blue. I loved the idea of the warmth that the ginger and cinnamon added to the recipe. So I decided, then and there, that this was going to be my post for the SRC reveal this month. The muffins were easy to make. The batter came together really quick and then all it took was 20 minutes in the oven. I pretty much stuck to the recipe except for the cinnamon powder. I used it but just reduced the amount compared to what the original recipe called for. I couldn't seem to figure where it went, so I just added it to the sugary topping mix. Another thing I noticed was that the ingredient list had white sugar mentioned twice, I considered that a typo. Also, something I was really excited about was, for a change, I managed to get the actual yield that the recipe suggested. Happy days!!! 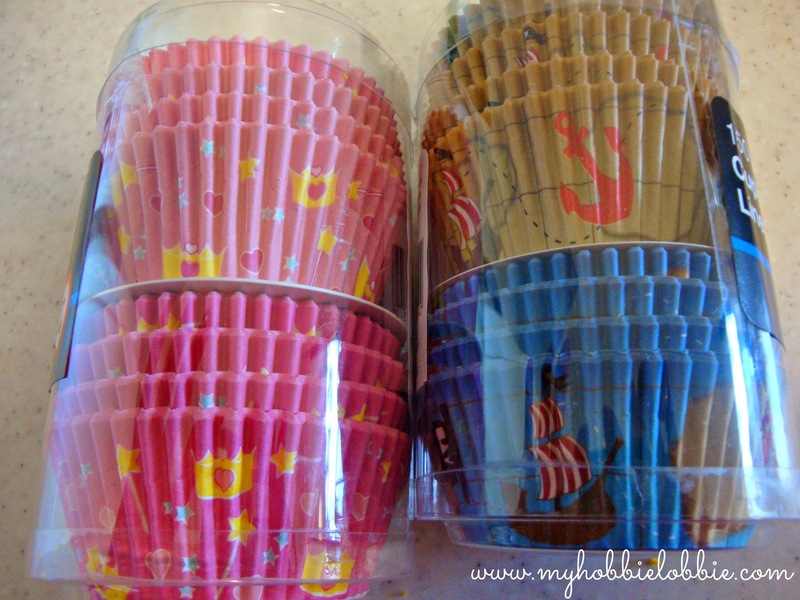 On another note, check out these cupcake liners I picked up at the supermarket a couple of days ago. They look like so much fun. I baked the muffins in these liners and I think it would be a fantastic way to add muffins to a kids birthday party dessert spread. Back to the muffins. These blueberry muffins were amazing. They weren't too sweet, just the way I like it. I loved the flavor that the cinnamon added. And those bursts of delicious berries with the light crunch of the sugary topping were something else altogether. In all, I'd consider this the perfect muffin. Its everything I look for in a muffin and so much more. Do yourself a favor and make them soon. And don't forget to hop on over to LeAndra's blog and say Hi. Preheat the oven to 200°C. Line a muffin pan with paper liners. In a small bowl, mix the topping ingredients - 1/4 cup granulated sugar, the cinnamon powder and half the lemon zest. In another bowl, mix the dry ingredients - the flour, brown sugar, 1/4 cup granulated sugar, baking powder, salt and 1/2 the zest. In a large bowl, whisk together the wet ingredients - the milk, oil and egg. Stir in the dry ingredients till combined. Spoon the batter into the lined muffin tin, filling almost to the top. Sprinkle with the topping mix. Bake at 200°C for 20 minutes or till a toothpick pierced through the middle comes out clean. Yum! Those look so good. It looks like several of us included blueberries in our recipes this month. Yum! I made blueberry muffins this month too. Yours look awesome, especially that topping! Hope you enjoy it as much as we did :) Thanks for stopping by Hasna! I'm an honorary group A member this week, and loving all of the delicious recipes I'm finding. 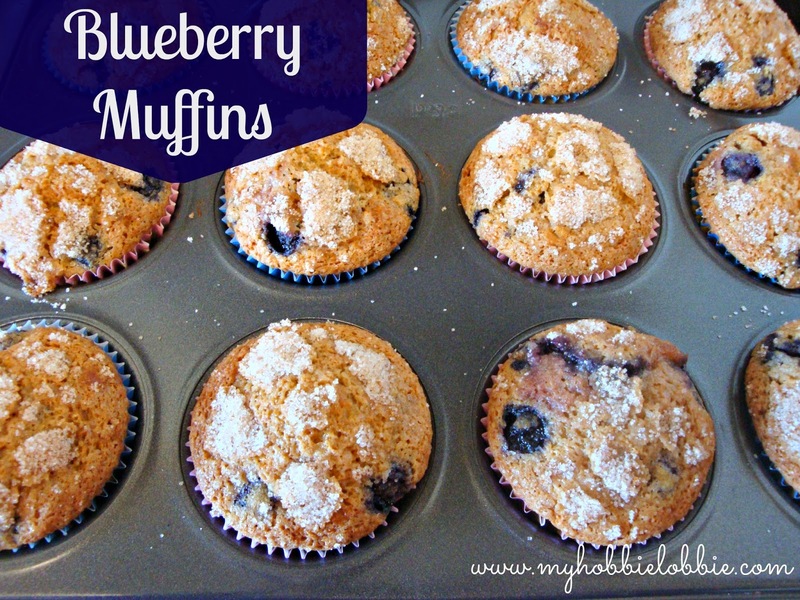 It seems like blueberries were the theme this month, and you did a great job of showcasing them in these muffins. I love the addition of a cinnamon/sugar topping, what a treat. Oh geez, sorry about the typo. I've fixed it but an glad you were able to work through it. Thanks for all of your kind words about the blog! bluberry muffins are always a good choice! looks great.